scout and gather: Parcel Mint is OPEN! 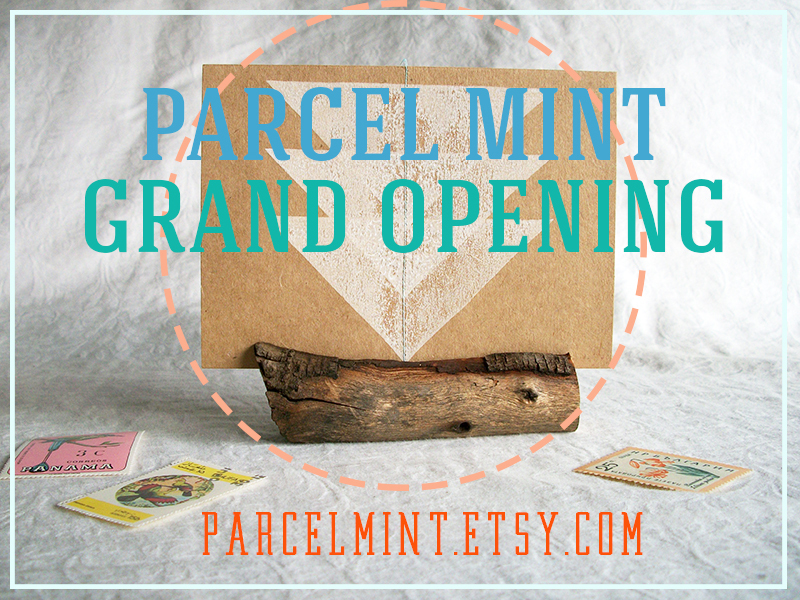 Happy Birthday to my brand new shop on Etsy... Parcel Mint!!! It is brand spankin new and I couldn't be more excited! There is more to come in the near future and I will keep my lovely readers up to date as I continue to stock my cyber shelves. I plan to add to the shop often, so be sure to check back. Let me know what you think! Click here to visit Parcel Mint on easy!